Every six minutes, a utility line is cut somewhere in the United States that could have been prevented if 811 was called first. Don’t risk it! 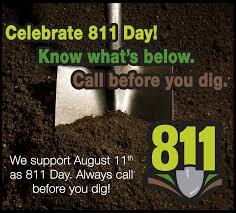 Call 811 before you dig! For more tips on how to dig safe check out Call 811.